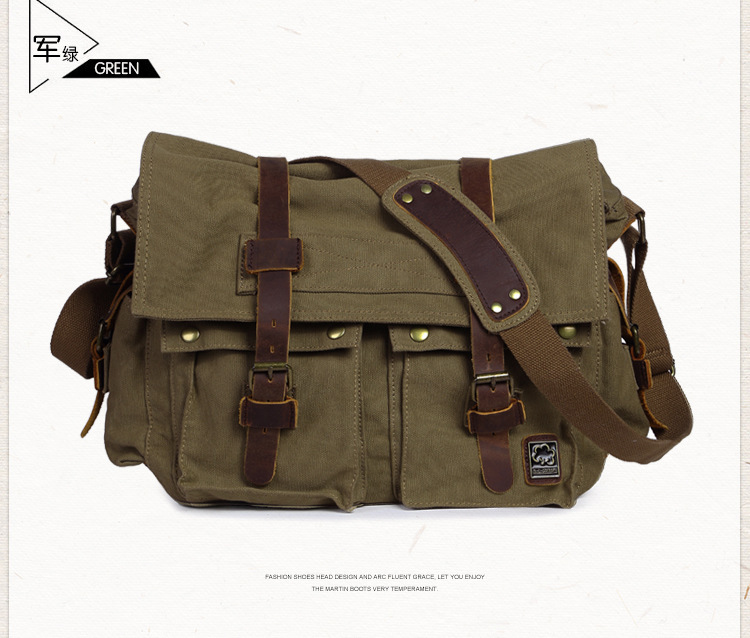 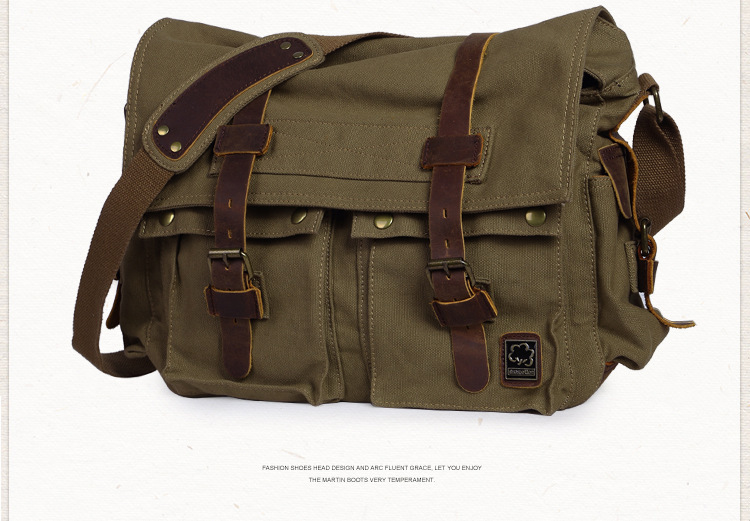 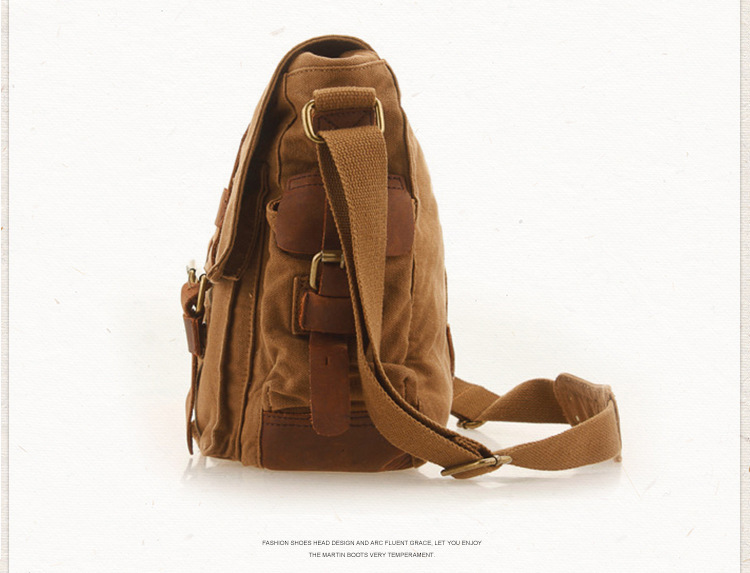 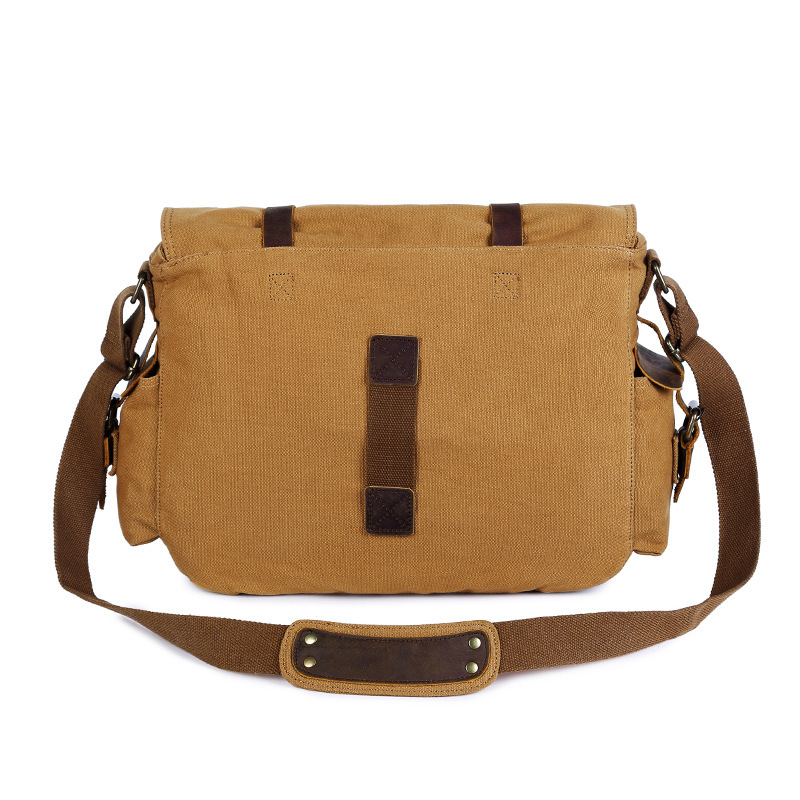 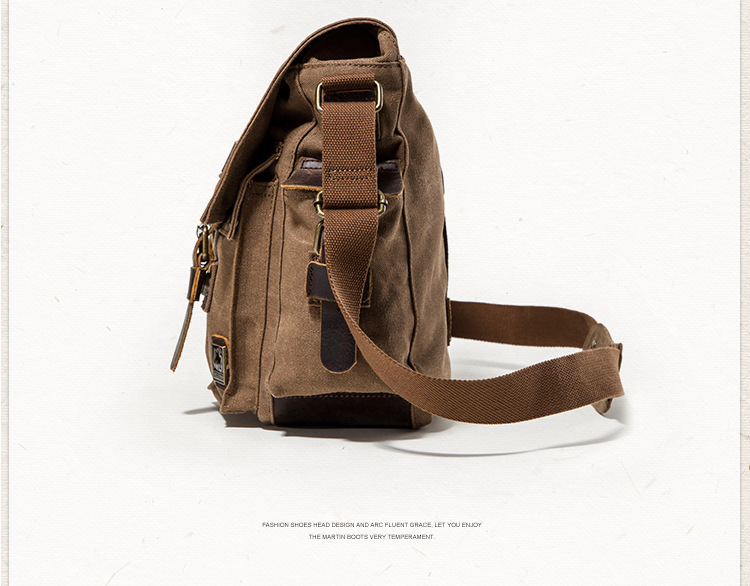 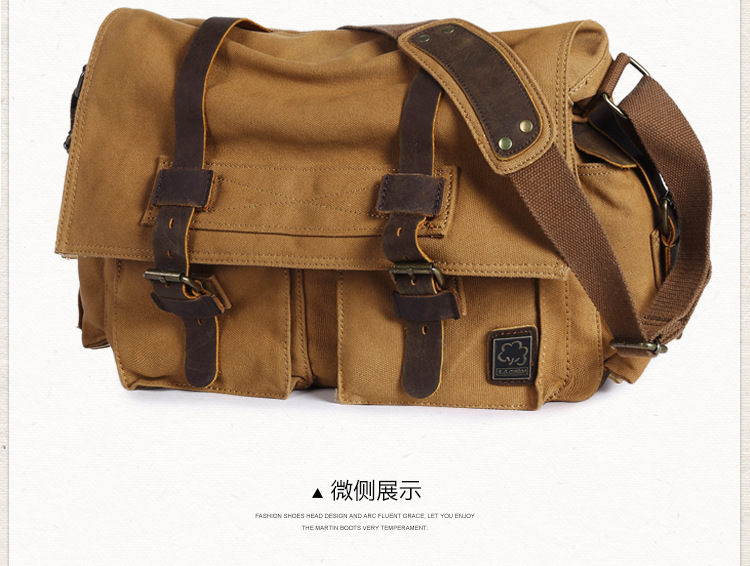 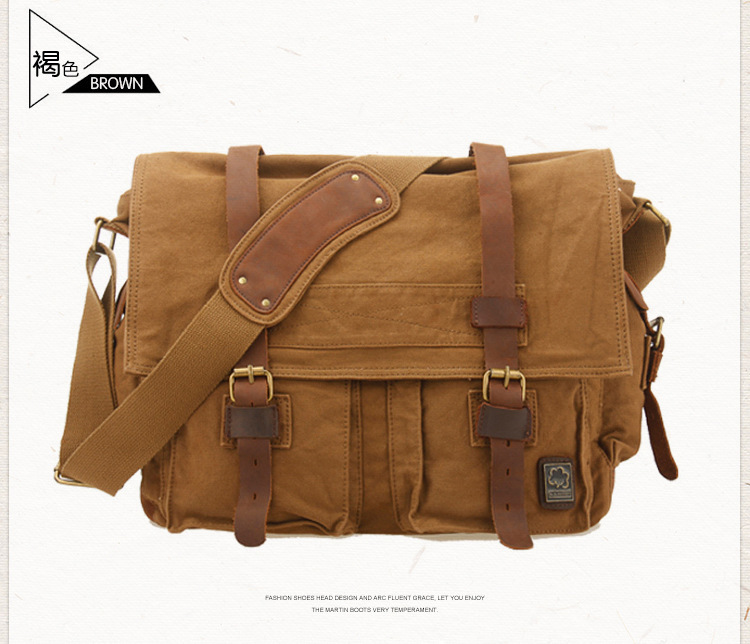 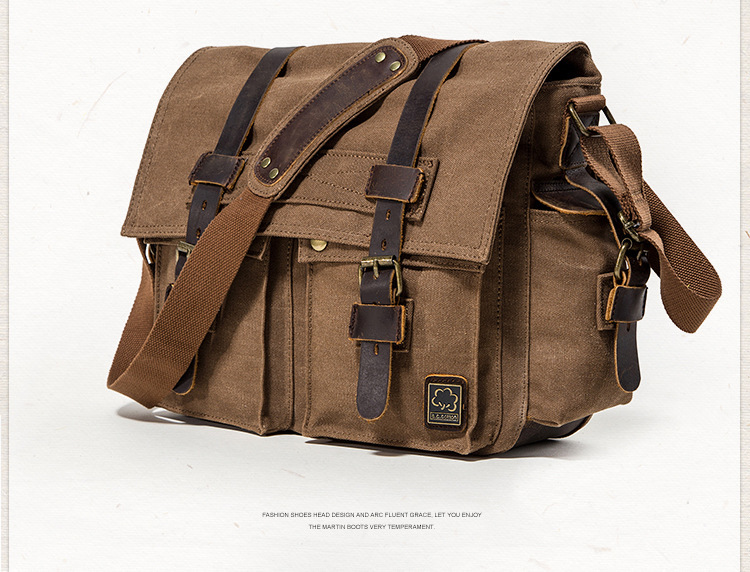 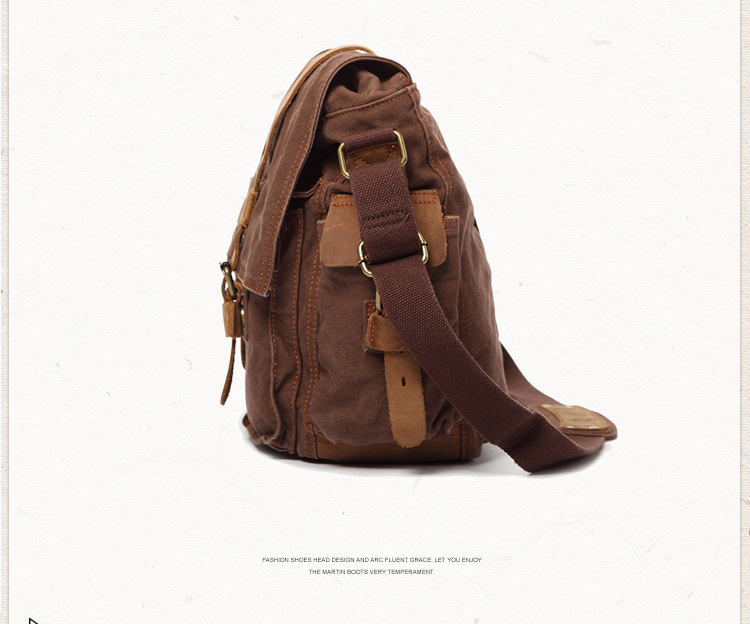 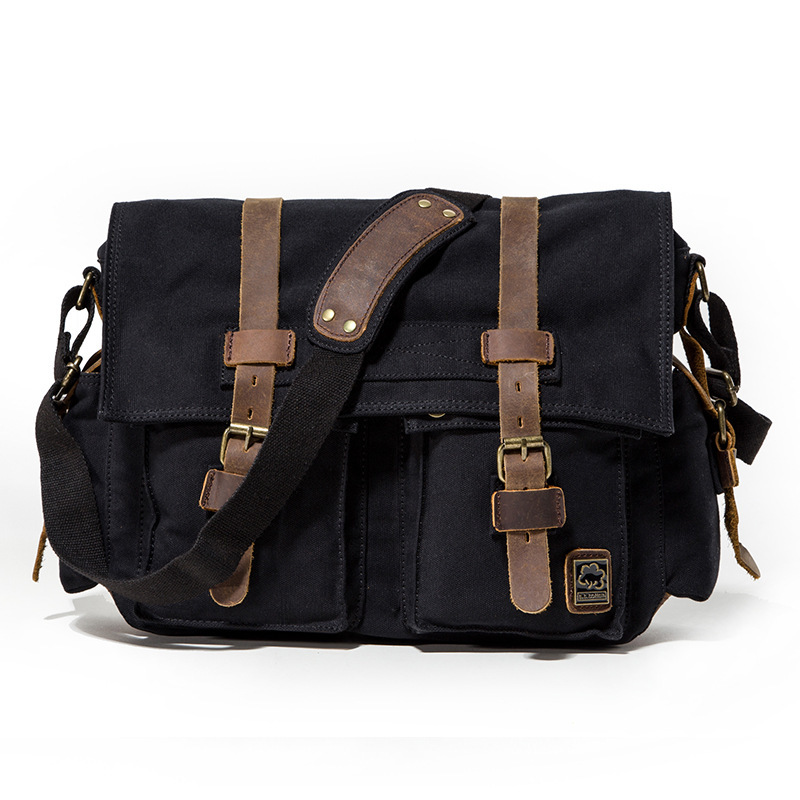 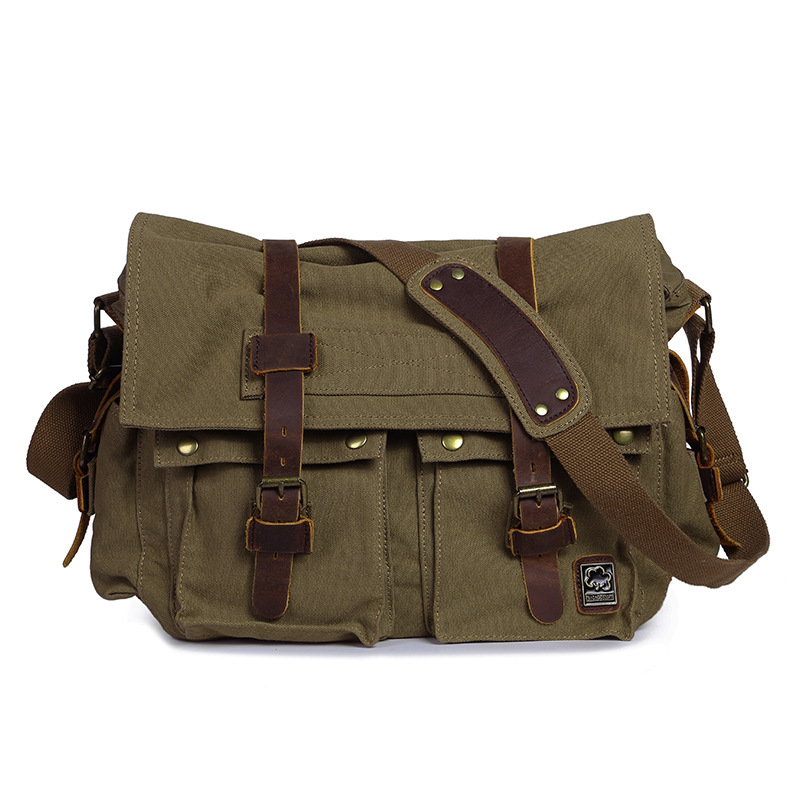 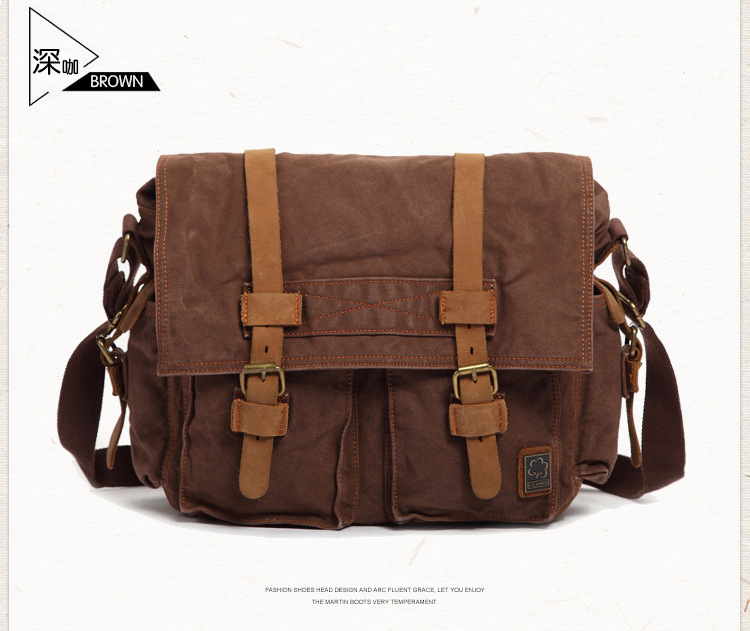 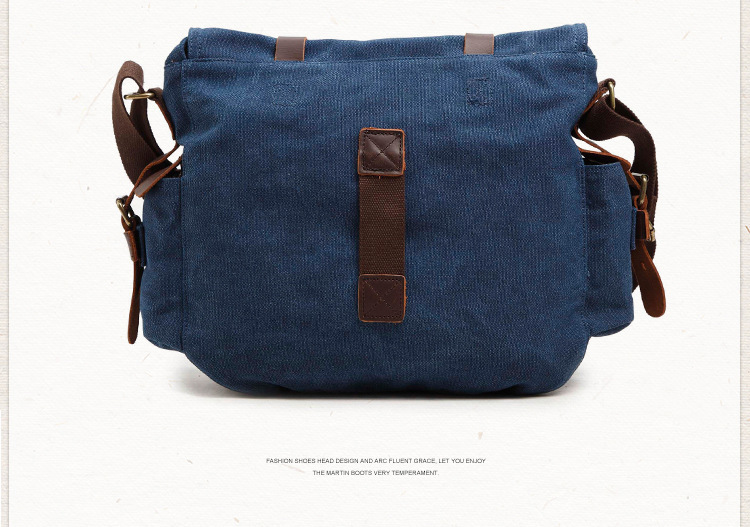 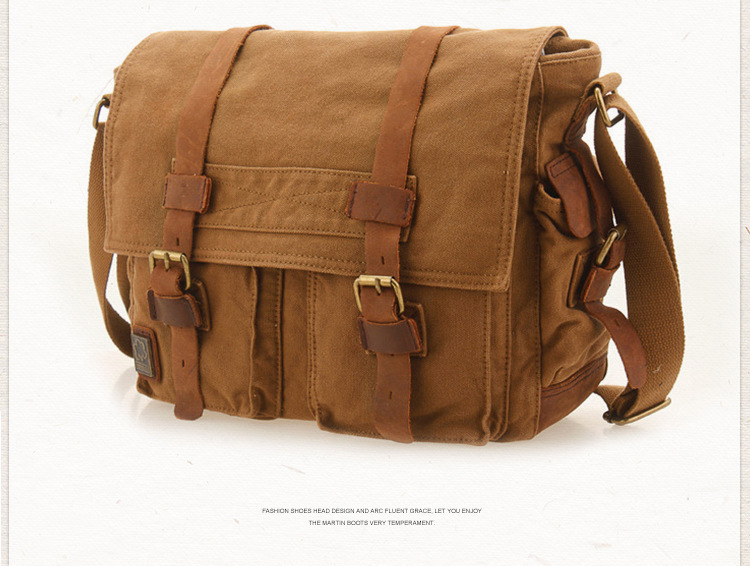 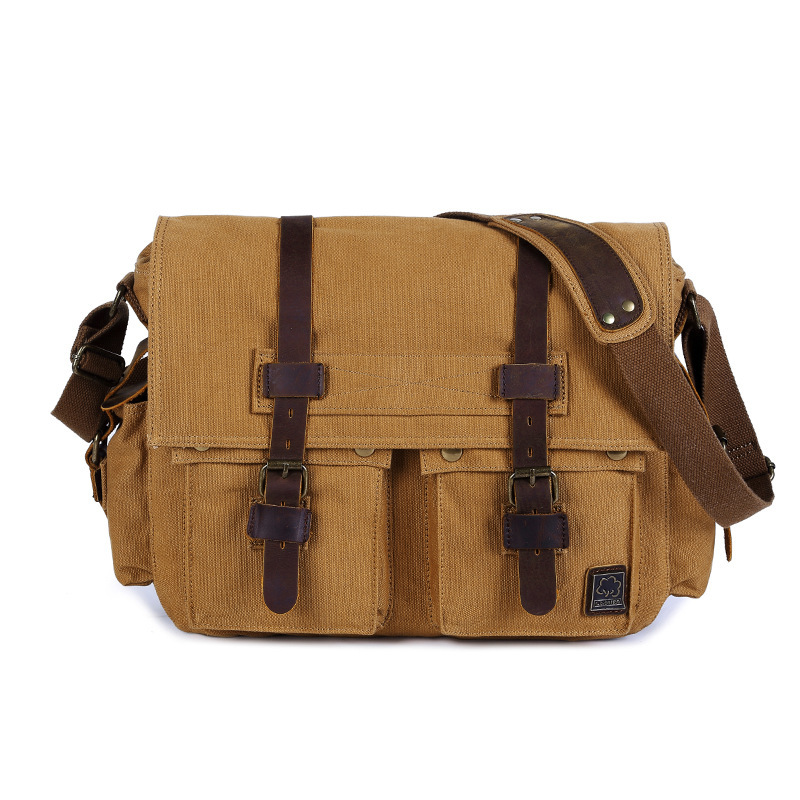 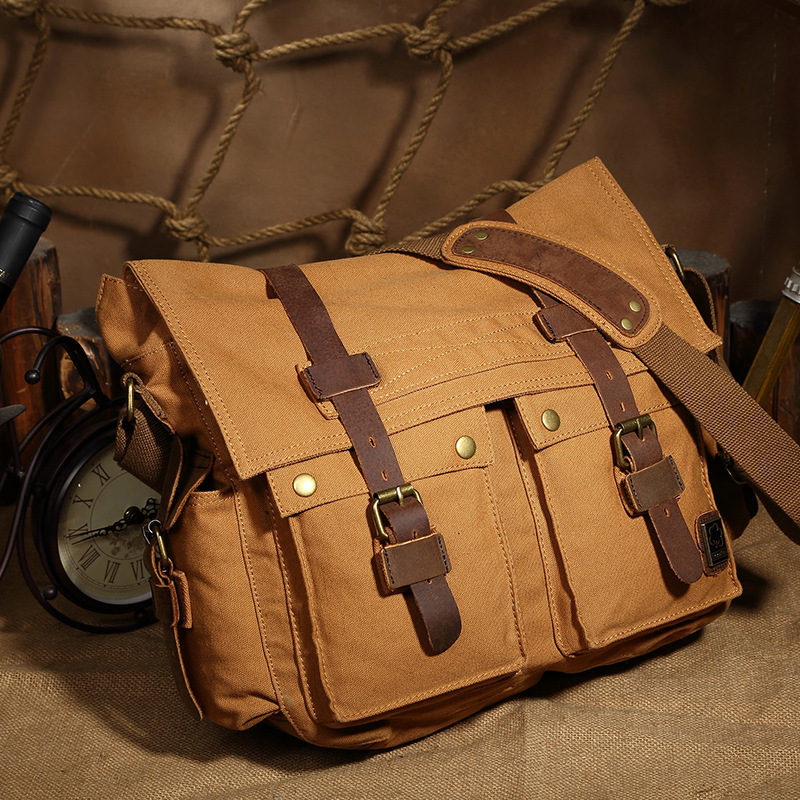 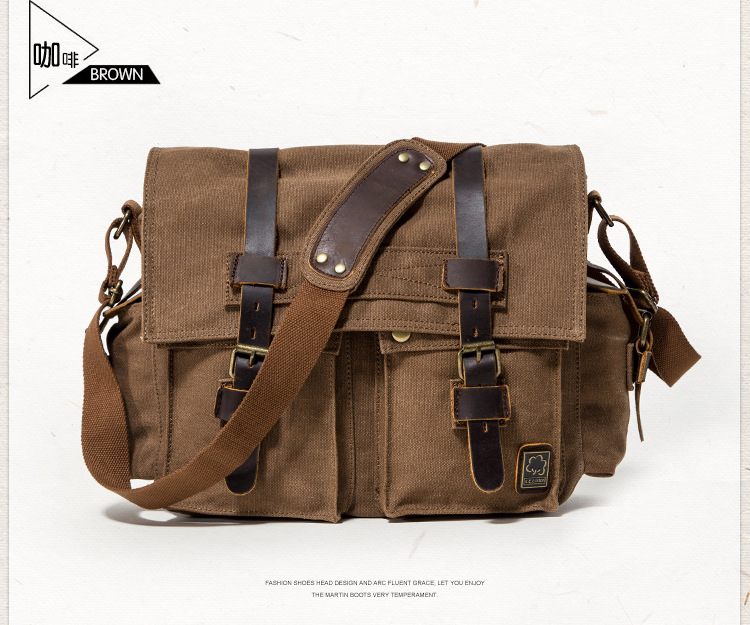 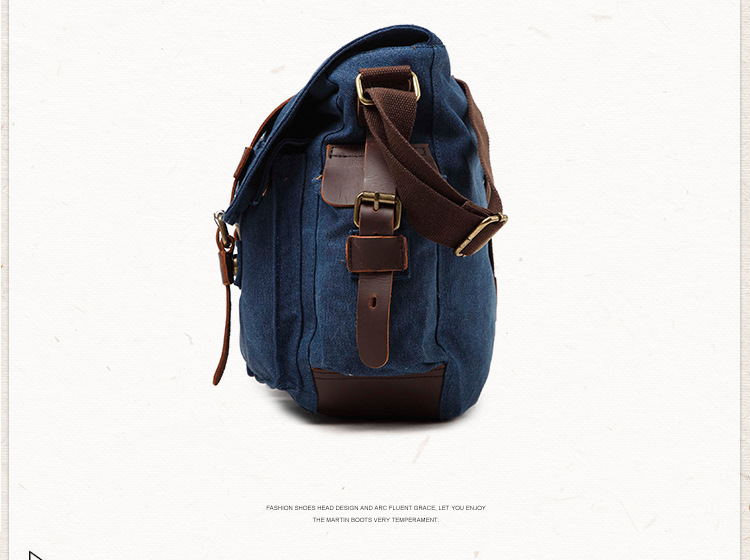 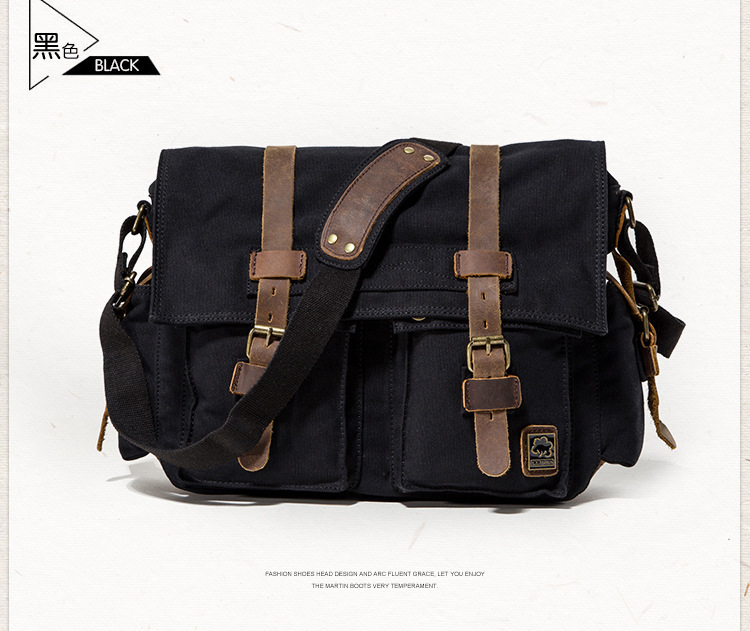 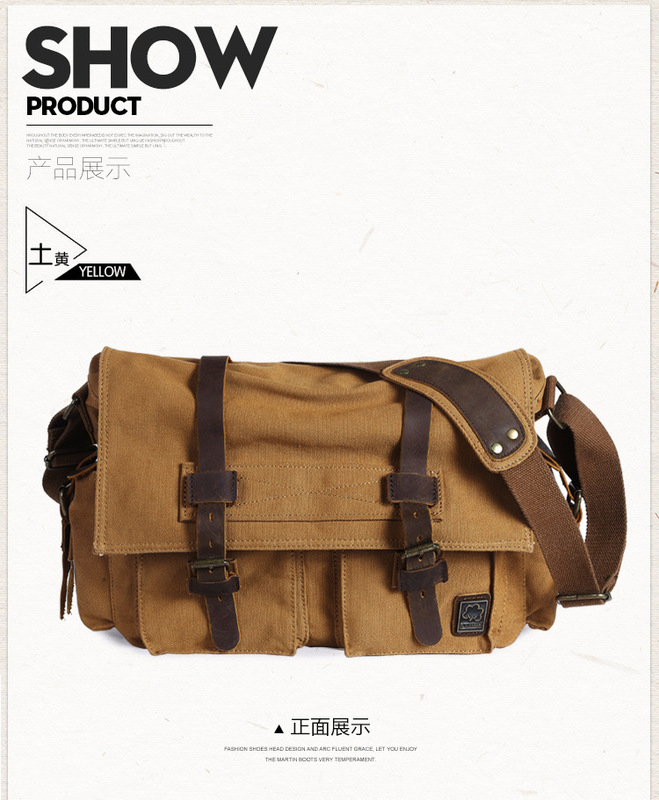 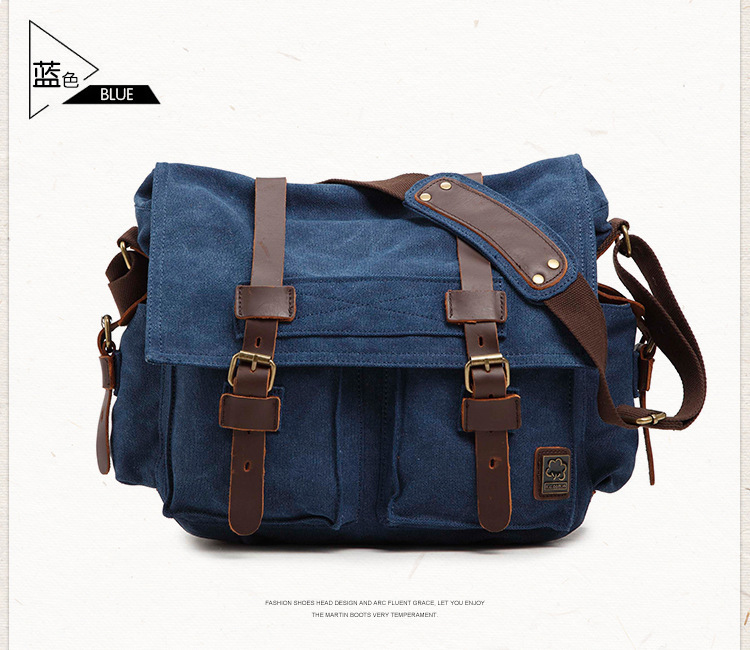 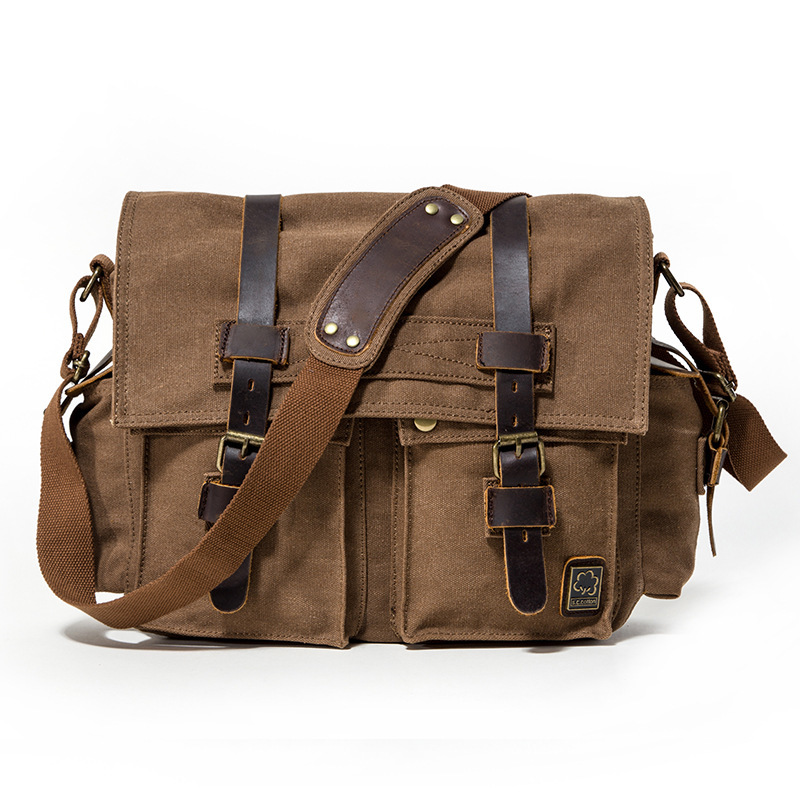 Carrying your stuff on-the-go couldn't be easier with this vintage style canvas and leather messenger bag. 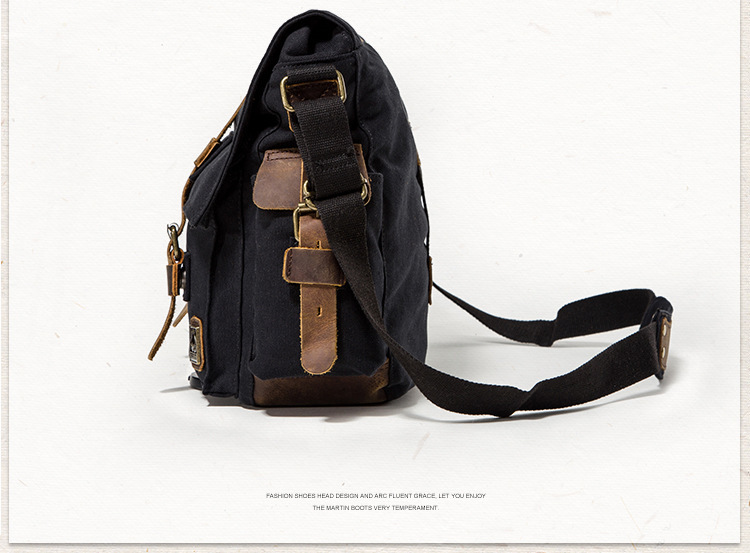 The strap is adjustable to provide comfort and can accommodate anyone regardless of their size. 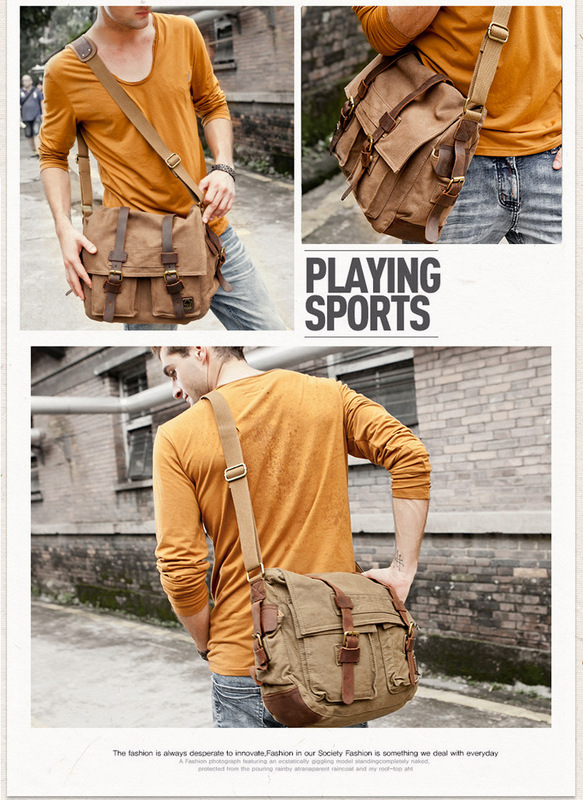 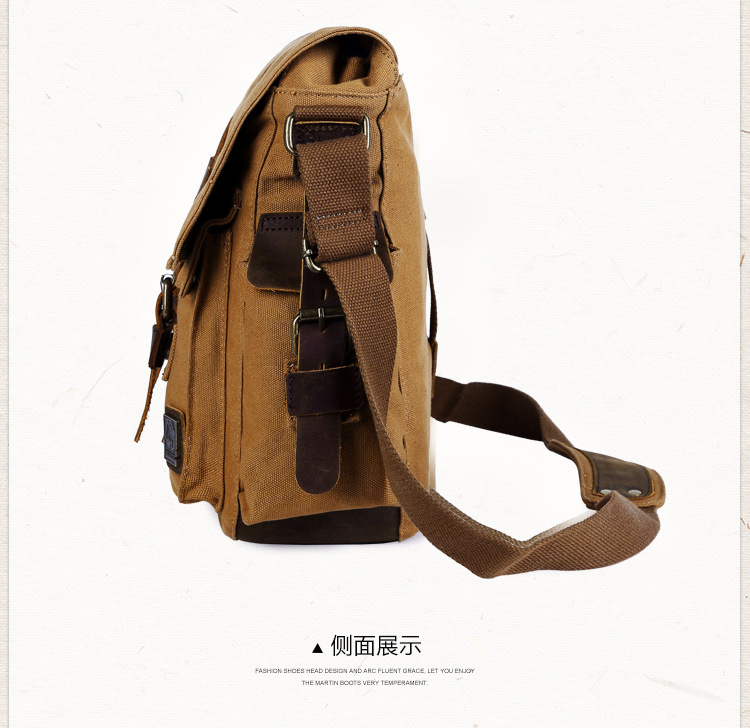 With four external pockets, you can carry and load your smartphone, wallet and other valuable items. 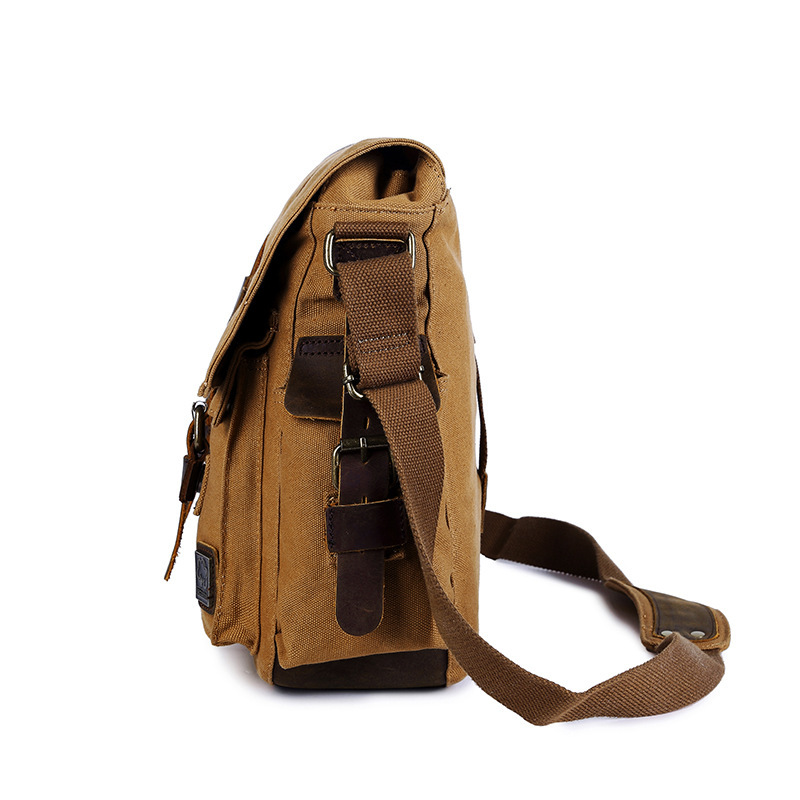 With a large internal compartment, it's perfect for small to medium sized notebooks or tablets. 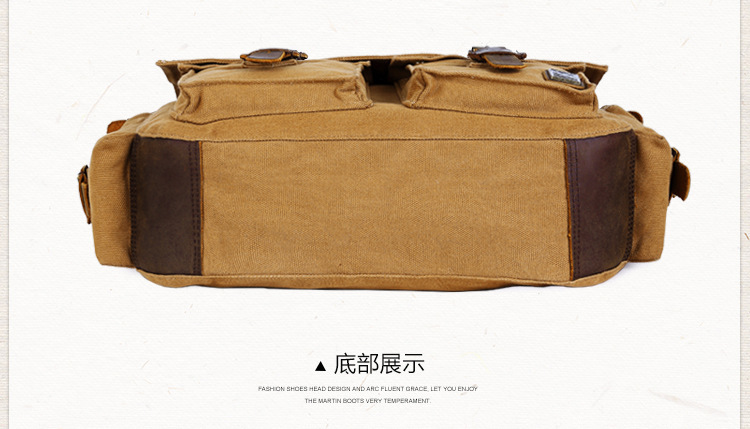 There's also a compartment under the main flap to store other items. 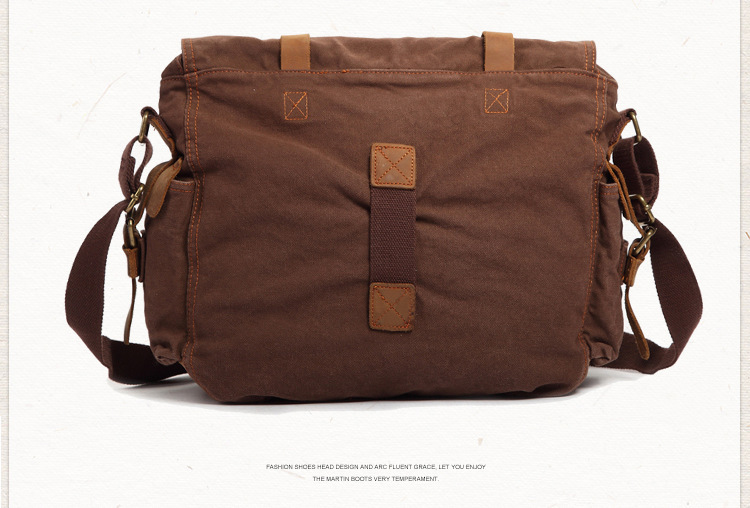 All flaps lock into place with magnetic buttons. 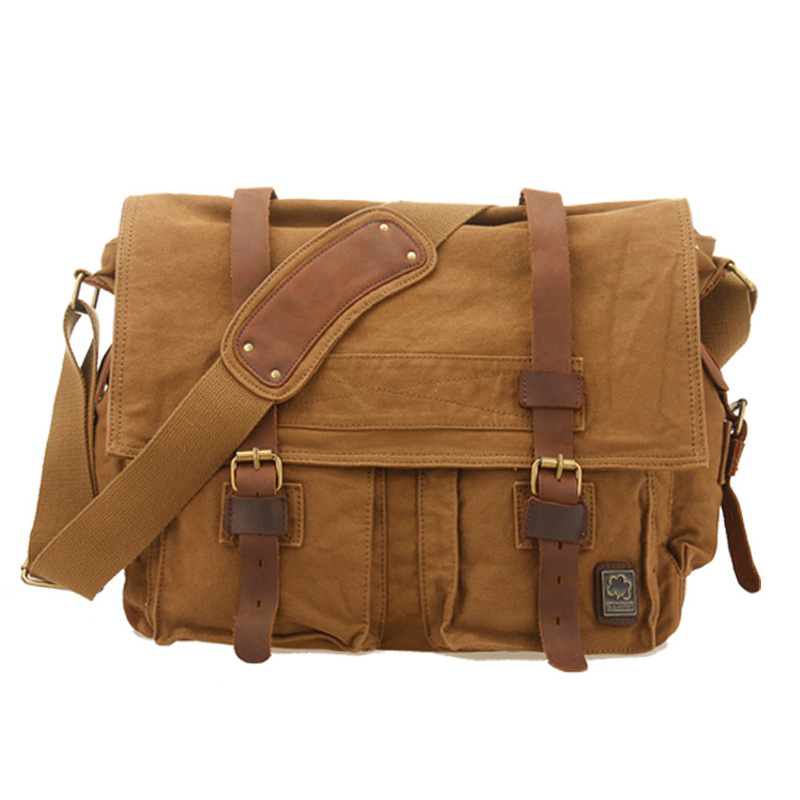 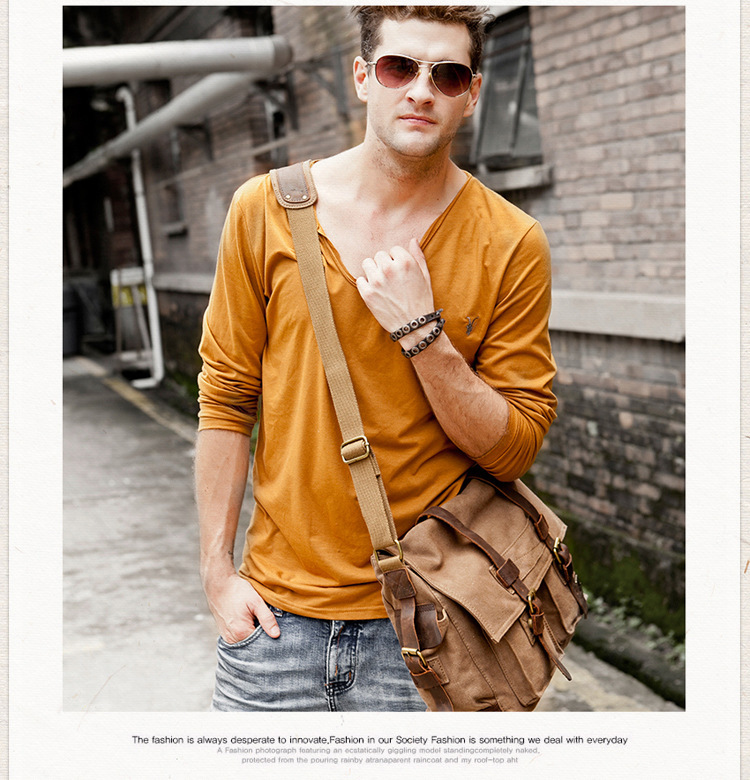 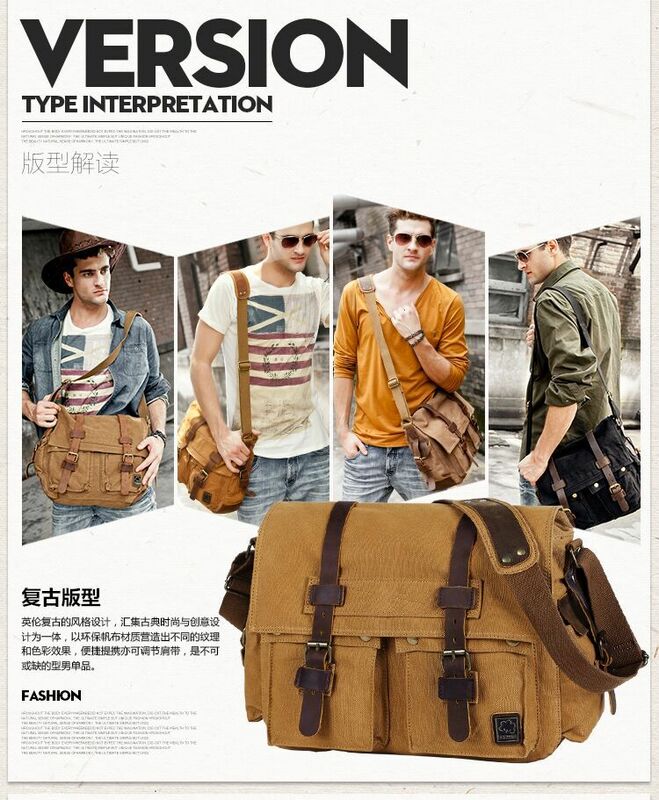 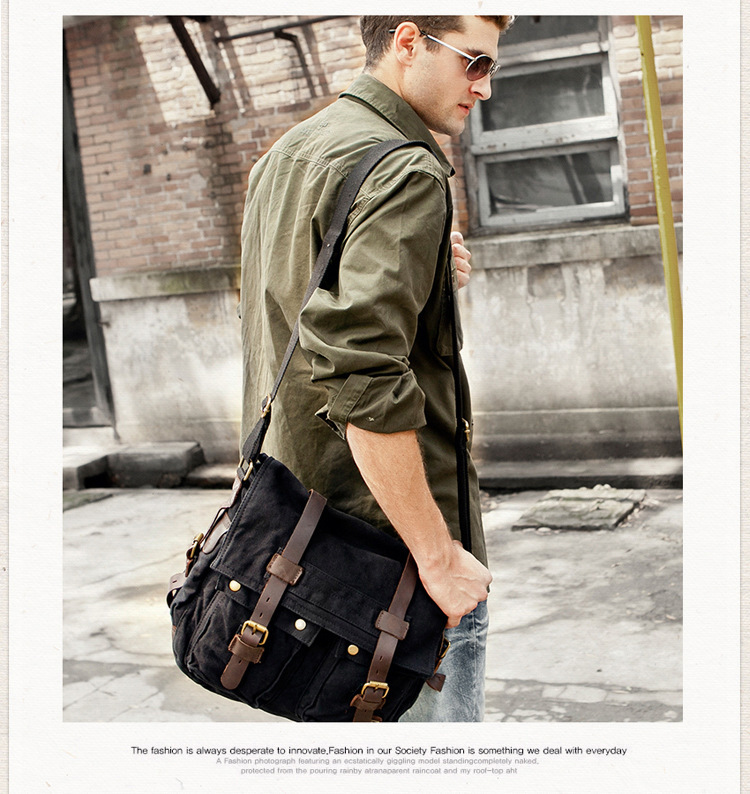 This messenger bag is perfect for students, business professionals and/or travelers trying to make a fashion statement.